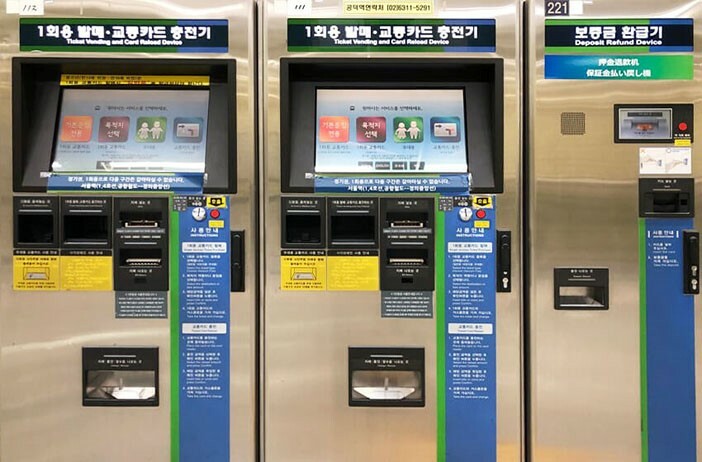 Korea’s public transportation can be intimidating at first, but once you get the hang of it, it can be an incredibly cheap and efficient way to crisscross the city, and help you get outside of its major areas as well. Here’s your guide to the subway, train, and bus systems! You can use cash to buy tickets for the subway from machines located inside each station. Fares start at KRW 1,250 and increase based on distance. For the busses, there are no tickets to buy and you can pay in cash every time. KRW 1,200 is the base fare per adult for most buses. 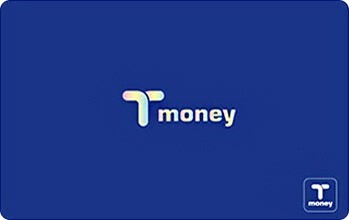 However, it’s much easier to get a reloadable transportation card such as the T-Money card (Seoul) or Cashbee card (Gyeonggi-do). These cost KRW 2,500 and can be bought at convenience stores (GS25, CU, 7-Eleven, and others) or at the individual ticket machines in the subway stations. Once you have one, you can add money to the card using the machines in the subway station, and reuse it as much as you like. Especially for busses, it’s much more convenient. If you ever transfer between the subway and bus, it will only charge you a small amount more, instead of for two full, separate trips. You can use it like a debit card at the convenience stores as well. You can also have the balance refunded if you leave Korea. If you are planning to live in Korea for a long time, your bank debit card can also be made into a transportation card, with the payment amount deducted from your main account every month. This requires a Korean bank account; therefore, it isn’t available for tourists. The Seoul subway currently has 22 lines and over 700 stations – an enormous network that can help you get almost anywhere. More lines or line extensions open every year, with plans already in place for new development all the way until 2021. For when you want to get out of Seoul, KTX (train) stations share locations with subway stations. Seoul Station (서울역) and Yongsan Station (용산역) are big hubs for the KTX, and stations like Cheongnyangni (청량리역) can help you get out of the city to Pyeongchang (평창) where the winter Olympics were held. Rush hour (about 7:30am-9:30am and 6pm-7:30pm) can be CRAZY on the subway, especially lines 2 and 9. This is because they cut through many major business districts and pick up all the commuters on the way home. All the lines get swamped though, and so, if at all possible, time your trips to be outside of these windows. When the weather is bad with rain or snow, it can get even more congested. All the subway announcements and signs are in Korean, English, Japanese, and Chinese, and there are large maps printed in each station. This makes it easy to get around. There are also some great subway apps like “Subway Korea” that can give you details for every aspect of your trip, including live timetables, the car door closest to your transfer, as well as the first and last train. People do line up in front of each car door, especially during busy periods, so be ready to go with the flow before each train arrives. There is also free internet almost everywhere! 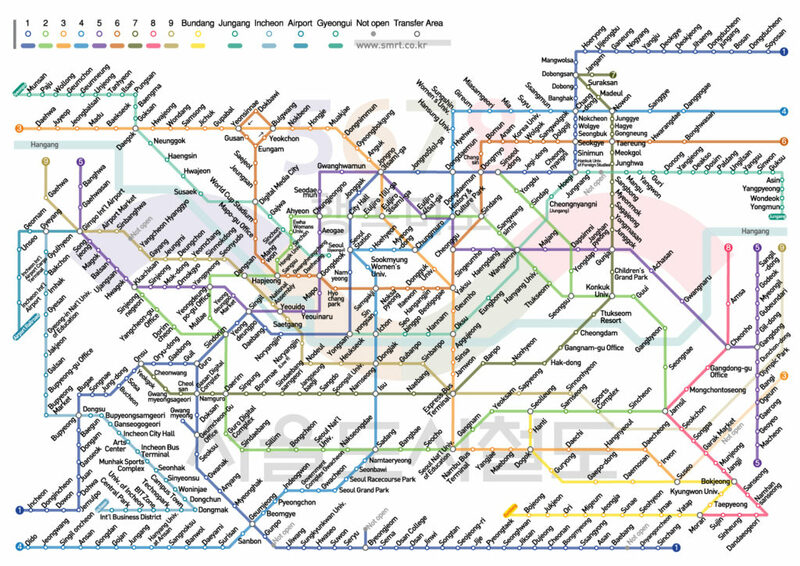 Hopefully this gets you started on using the Seoul subway! In the next blog we’ll look at the buses, KTX, and other ways of getting around the country easily and conveniently. Don’t worry at all about getting lost along the way! That just might make your trip more memorable.